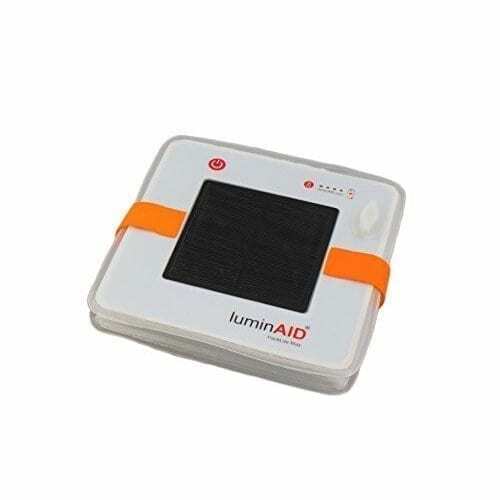 LuminAID PackLite Nova USB Solar Lantern - Celestaire, Inc. The PackLite Nova USB is a high performing, inflatable solar lantern. Waterproof and dustproof. The PackLite Nova USB makes an ideal light for just about anywhere—including the campsite, backyard and emergency kits. 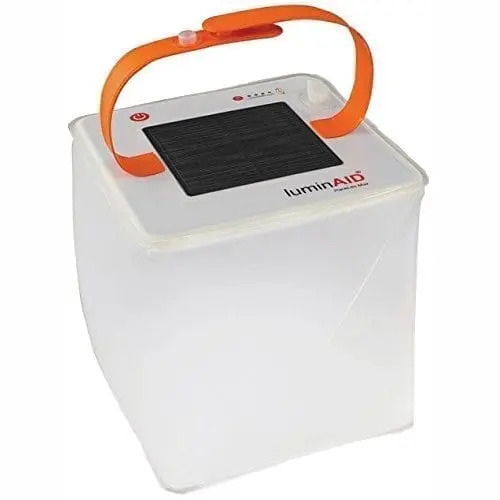 It provides over 75 lumens of bright LED light on Turbo mode and can run for up to 24 hours on Low mode when fully charged (no extra batteries required). The PackLite Nova USB can be recharged by micro USB input (cord included) or by the built-in solar panel in approximately 10 hours of sun. It measures 4.75″ x 4.75″ x 4.75″ when inflated and packs down to less than 1″ thick. The PackLite Nova USB has a 4-level battery charge indicator and adjustable strap for hanging.